Employers that sponsor defined benefit (“DB”) pension plans know that contribution requirements can be volatile and onerous, especially given current low interest rates. The Ontario Government has taken note. In its recent consultation paper, Review of Ontario’s Solvency Funding Framework for Defined Benefit Pension Plans (“Consultation Paper”), the Government proposes several approaches to change the current DB funding rules, including the complete elimination of solvency funding (as Québec did earlier this year). Comments on the Consultation Paper are due by September 30, 2016. The Ontario Government then intends to hold a second public consultation on any proposed funding reforms in the Fall 2016. These proposed changes may result in clearer and more predictable DB funding rules in Ontario, and are part of a recent trend across Canada. However, if employers do not speak up now during the consultation period, there is a risk their concerns will not be fully taken into account in the ultimate funding reform. 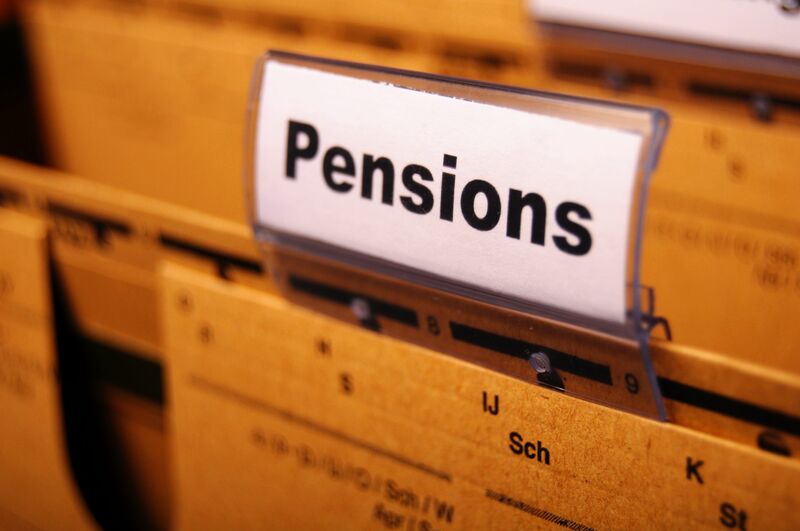 Below, we outline the current DB funding regime, the Ontario Government’s proposed changes to that regime, and some funding and “de-risking” options currently available to Ontario employers that sponsor DB pension plans. “Going concern” funding, which assumes that the pension plan will continue indefinitely. Any deficiency determined on a going concern basis must be eliminated through special payments over a period of no more than 15 years. “Solvency” funding, which assumes that the pension plan will be wound up on the applicable valuation date. For single-employer plans, any deficiency determined on a solvency basis must be eliminated through special payments over a period of no more than 5 years. In today’s economic climate, with its low interest rates and unpredictable investment returns, many DB plan sponsors have found the solvency funding requirement onerous. The Consultation Paper sets out two general approaches to change the current DB funding rules in Ontario. Under each approach, the Government offers various “sub-options”, which may be implemented alone or in combination with each other. Under this first approach, the Government proposes a number of options that are intended to reduce solvency special payments while maintaining an overarching solvency funding requirement. These options include allowing plan sponsors to amortize solvency deficiencies over a longer period of time (e.g., 10 years rather than the current 5 years) and reducing the “target” for solvency funding from the current 100% (e.g., to 80%). Under this second approach, the Government would completely eliminate the solvency contribution requirement while enhancing the going concern funding requirement. Options under this approach include requiring a funding “cushion” (also known as a “Provision for Adverse Deviation” or “PfAD”), which is a required amount in excess of the plan’s liabilities that must be funded before the plan sponsor can take any action that could potentially weaken the plan’s funded position (e.g., benefit improvements or contribution reductions). Additional options include requiring that any going concern special payments be amortized over a shorter period of time (from the current 15-year period) and requiring that the Superintendent set the maximum interest rate that may be used for the purpose of determining the plan’s going concern funding requirement. In addition to these two general approaches, the Ontario Government proposes other reform, including requiring that the plan administrator conduct an annual actuarial valuation report (regardless of the plan’s funded status) and that the plan sponsor develop and adopt a written funding policy. Importantly, the Government further proposes increasing employer-paid assessments to the Pension Benefits Guarantee Fund (or “PBGF”), a fund unique to Ontario that is intended to ensure a minimum pension benefit level for plan members in the event of an employer’s insolvency. The public consultation for DB funding reform in Ontario is in its infancy. We do not yet know what form this reform will ultimately take (particularly given the number of options offered by the Government), nor do we know when any reforms will be effective. Temporary solvency funding relief measures: The Ontario Government recently extended the temporary solvency relief measures for private sector DB plans previously enacted in 2009 and in 2012. This relief applies to the first valuation report filed with a valuation date between December 31, 2015 and December 31, 2018. The temporary relief includes two options: (i) consolidate existing solvency special payments into a new 5 year schedule; and (ii) extend the solvency special payment schedule to a maximum of 10 years for any new solvency deficiency (subject to member consent). Letters of credit: The Ontario PBA allows employers to obtain a letter of credit (“LOC”) issued by a financial institution to cover a portion of its required solvency payments, to a maximum of 15% of the plan’s solvency deficiencies. The Consultation Paper includes a proposal to increase this limit on LOCs to a higher (unspecified) percentage of solvency deficiencies (assuming solvency funding requirements are maintained in some form). These are just a few options available to Ontario DB plan sponsors. Other “de-risking” options include lump sum transfer options, risk-adverse investment strategies, and alternative plan design options (e.g., reducing or removing early retirement subsidies). For pension plans registered outside of Ontario, there are other options available, such as solvency reserve accounts (available in Alberta and British Columbia, and proposed in Ontario through the Consultation Paper) and conversion to a shared risk or target benefit plan (not yet in effect in Ontario but currently available in some Canadian jurisdictions).